on a farm and in the bush in New Zealand. 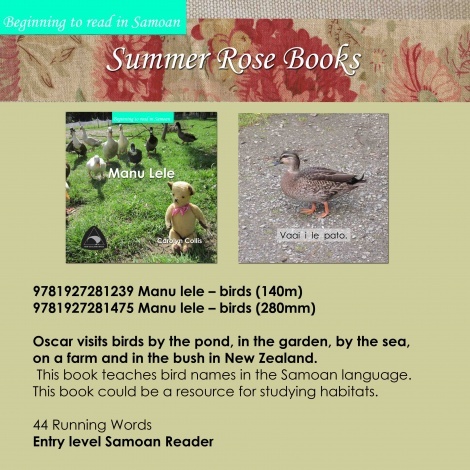 This book teaches bird names in the Samoan language. This book could be a resource for studying habitats.